Watch Giana’s infomercial about this great new product!! Grose but funny.If it worked in real life I migiht by it. That’s not a bad idea for an invention. It is a little unusual, but, it most definitely has possibilities! You should patent it. However, the poopjammas would never sell. I wish you much luck in your capital venture. you seem like youd be fun to hang with. I like it. Real crative! it made me wanna pee my pants to see if it works. OMG! Gianna is so awesome shes gonna be a famous actress one day! Love to photograph you! 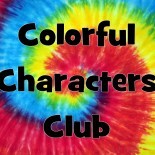 This entry was posted on January 28, 2014 by colorfulcharactersclub and tagged family, fun, humor, infomercial, kid, kids, skit, teen, teens, Tween, tweens, video.